Wow! 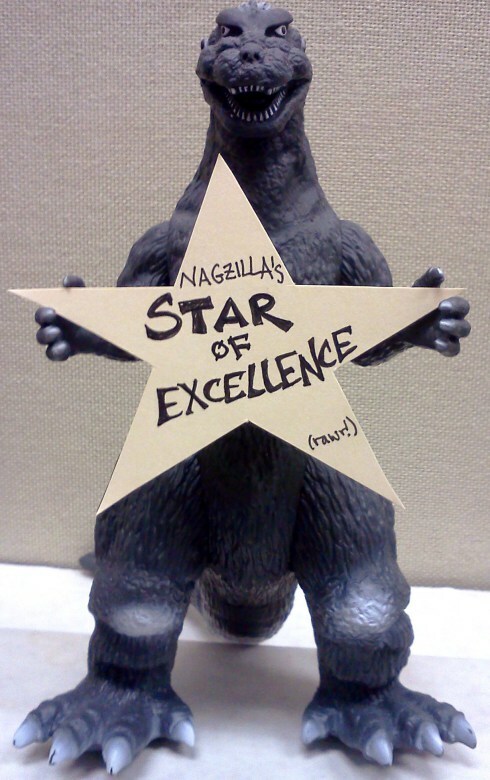 It is such an honor to be among this years winners of the 1st Annual Nagzilla’s Star of Excellence Award. I will proudly display this on my Awards and Accomplishment page. Thank you SO much!! This entry was posted in All, Blogger Awards and tagged award, blog award. Bookmark the permalink.